The heavy-gauge steel mainframe feature all-4-side welded construction for a rock-solid foundation. Extra-thick and durable DuraFirmTM back and seat pads deliver comfort and proper posture. Extra-wide, sealed ball bearing pulley allows complete freedom of movement for oblique workouts as well. Infinitely adjustable back pad ensures quick and easy adjustment for all size users. 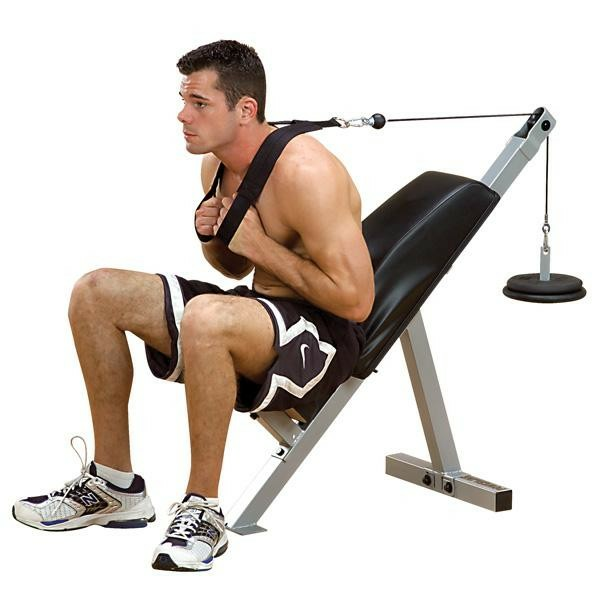 Excellent for triceps extensions, too.